Montepaschi Siena remained undefeated in the Top 16 by beating Unicaja 84-69 in Group F action, but missed a chance to advance to the Playoffs already this week when Bilbao Basket blasted past Real Madrid. 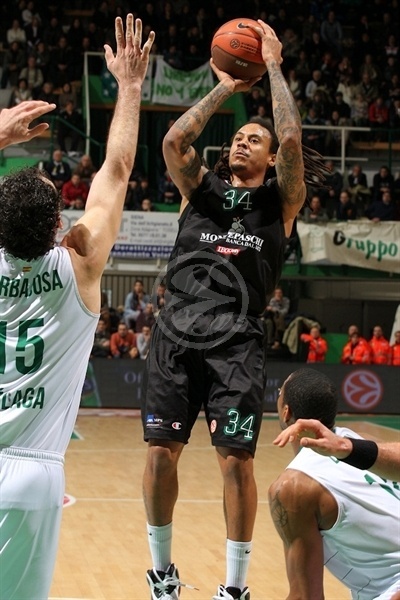 Montepaschi used a 12-1 run in the fourth quarter to take control of the game and allowed just one basket in the final period to improve to 4-0 in the group. A victory in either of its remaining games or a loss for either Real Madrid or Gescrap BB will send Siena through to the next stage. 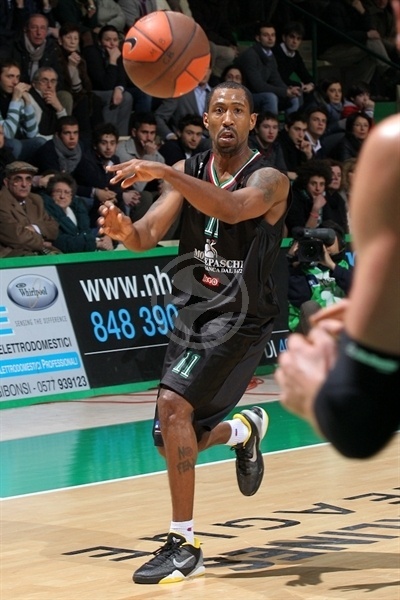 Five players scored in double digits for Montepaschi, led by Bo McCalebb’s 18 points. Ksistof Lavrinovic hit for 13 points while David Moss and Igor Rakocevic both had 11 points and David Andersen chipped in 10 points for Siena, which forced 19 Unicaja turnovers. 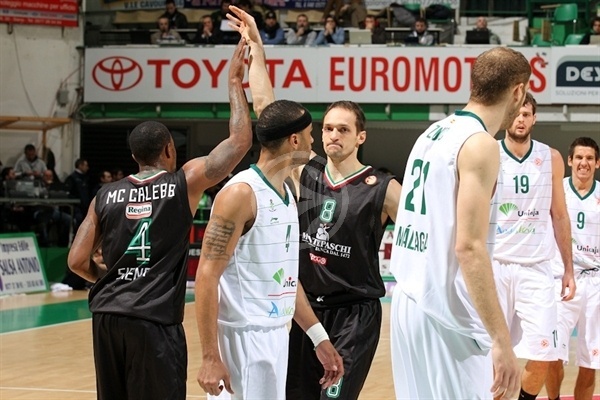 Unicaja dropped to 0-4 despite 15 points from Gerald Fitch and 14 by Luka Zoric. Moss started the game for Siena with a triple and E.J. Rowland made it 3-2 early on. Unicaja struggled holding onto the ball, committing six turnovers in the first four minutes and two baskets by Andersen and a McCalebb score pushed the Montepaschi lead to 9-2. Jorge Garbajosa stopped the Unicaja rut with two triples to bring the guests within 9-8. Siena answered with six straight points on a three-ball by Bootsy Thorton and a three-point play from McCalebb for a 15-8 advantage. Kristaps Valters nailed his first long ball of the night to trim the gap to 15-13 and Fitch came on for two foul shots to make it 17-15. But Thorton increased his first quarter point total to seven and McCalebb hit a layup and Rakocevic made two free throws to open the biggest lead thus far at 23-15. 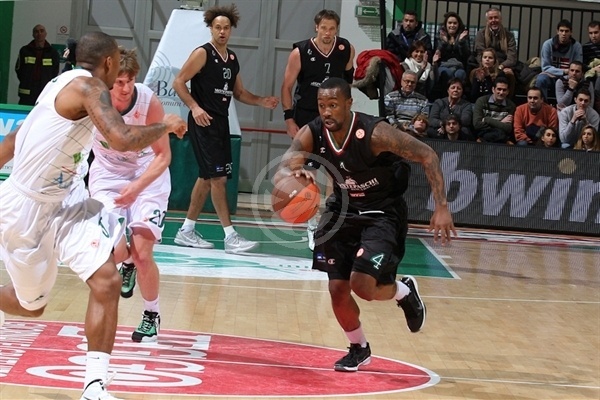 Fitch however scored the final four points and Unicaja trailed only 23-19 after 10 minutes. Rakocevic opened the second quarter with two more free throws and Valters got Unicaja on the board in the second frame for a 25-21 game. Lavrinovic nailed a three ball and then found Moss for a lay-up as Siena led 30-23. Fitch answered with a floater in the lane and Zoric converted inside to close within 30-27. But Rakocevic took over with McCalebb getting a rest with two lay-ups and a three-ball to increase the lead to 37-29. Fitch answered with a three-ball of his own and both teams could not be stopped offensively as they combined for nine straight made field goals – finished with back-to-back threes by Garbajosa and Marco Carraretto to make it 44-37. Hrvoje Peric hit an inside basket and free throw to make it 44-40 before Shaun Stonerook nailed a triple and McCalebb drained a long jumper as the lead swelled to 49-40. Peric continued his strong quarter with an inside basket and Rowland got his jumper to fall just before the buzzer as Siena was ahead just 52-46 at the break. Andersen started the scoring in the second half with a jumper for Siena, which picked up its defensive intensity to start the third quarter. Unicaja turned the ball over five times and missed three shots as Siena went on an 11-0 run early in the third including a breakaway lay-up and free throw and an offensive rebound put-back by McCalebb as well as two Moss free throws following a technical on Gabajosa to make it a 17-point lead at 63-46. Joel Freeland finally got Unicaja on the scoreboard at the 5:24 mark with an alley-oop dunk off a Valters pass for his first points of the night. Valters and Fitch both made lay-ups and Freeland’s basket got the deficit back to single digits at 63-54. Moss finally ended Siena’s nearly four-minute scoring drought to make it 65-54. 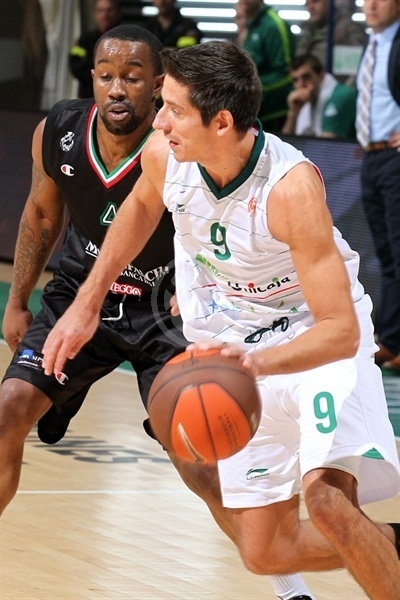 But Unicaja continued its strong push with two Zoric baskets making it 65-60 – and completing a 2-14 run. Lavrinovic, however, ended the scoring in the third quarter with two free throws to give Siena a 67-60 cushion going into the fourth period. Fitch grabbed a steal and converted a lay-up to open the scoring in the fourth quarter but Lavrinovic nailed a three-ball and then put back an offensive rebound and completed the three-point play to push the margin back to 11 points – 73-62. Valters made one free throw to trim the gap to 10 points but Tomas Ress threw down a dunk and hit a shot off the glass and McCalebb converted a lay-up to make it 79-63 with less than four minutes to play. 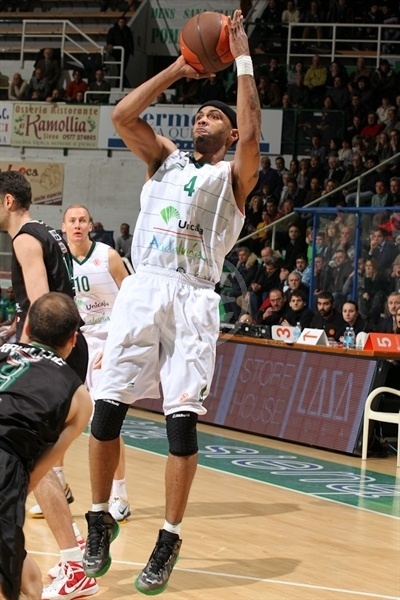 Montepaschi would not allow Unicaja to score a basket as Peric, Tremmell Darden, Freeland and Zoric combined for six free throws. But it was not enough as Siena used plenty of clock on offense and McCalebb threw down an exclamation dunk with 37 seconds to eliminate Unicaja. "We are happy because we were worried about this game. We knew Malaga has a long bench with talented and scoring players and we expexted them to start playing sooner or later. In the first half they played the way they know, but in the second one we played better basketball." "Althought the final score shows a 15-point gap, we stayed into the game for three quarters with a disadvantage of 5-7 points. 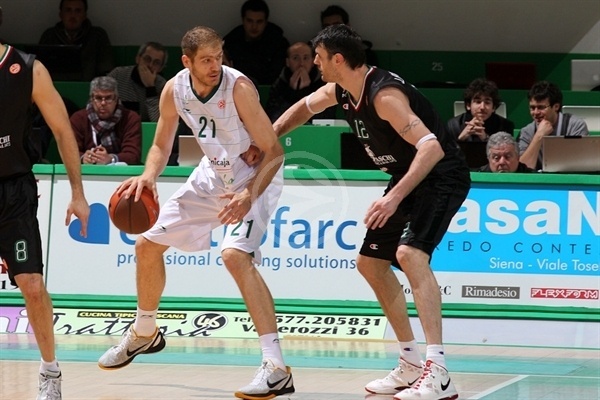 It wasn’t enough because Montepaschi played a great game. 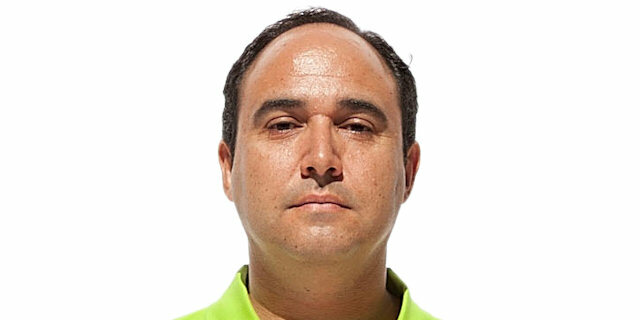 Our goal is to be consistent in the future." "We know that it should be a tough game for us, but it was a very important win today to make another step to the playoffs and to play for the first position in our group. We played good defense in the second half and we won with a good margin. Now we have to think about the last two games and to try to win the next one Bilbao."